What is Minimally Invasive Lumbar Micro-Decompression? Minimally invasive lumbar micro-decompression is a surgical procedure that is used to treat stenosis of the spinal canal in the lower back. Spinal stenosis is a well-recognized condition that is characterized by narrowing of the spinal canal and compression of the nerve fibers that emerge from the spinal-cord. This can result in a variety of symptoms such as pain and tingling in the buttocks and legs with associated numbness. Also known as mild, this procedure is carried out as an outpatient and is fairly straightforward. How is Minimally Invasive Lumbar Micro-Decompression Performed? The procedure does not require general anaesthesia and is performed by administering local anaesthesia at the site of surgery. The area where the decompression used be performed is marked out using x-ray. The patient is placed in a face down position on the operating table. The skin over the area is cleaned with antiseptic solution and a small amount of local anaesthetic is injected to numb the skin. Following this, a small incision is made in the skin and under the guidance of x-ray, specialized tools are inserted the skin and the underlying tissues to get access to the vertebra. Any excess bone tissue or ligaments that may be compressing upon the spinal-cord are gently removed using the aid of a microscope to get a better view. 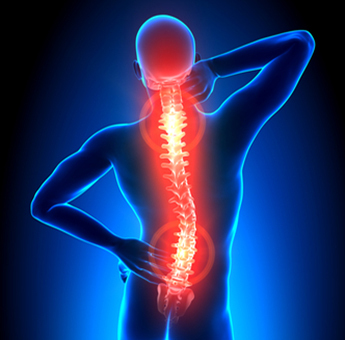 By doing so, the pressure that is being placed upon the spinal-cord nerves is relieved. After the procedure, the instruments are removed and the wound is covered in sterile bandage. The patient can then be discharged home. Patients are advised to take it easy for a few days and limit their activities until the area has healed completely. The main advantage of this procedure is that it is minimally invasive and does not cause any trauma to the neighboring structures. The procedure can be performed as an outpatient and is often completed within an hour. Patients find a great deal of benefit from the procedure and relief from their symptoms. The risks are rare but can include a slight amount of pain in the area where the procedure has been performed. Painkillers can effectively manage this. Patients may notice a small amount of bruising at the site but this resolves itself in a few days. Infections are rare and can be treated with antibiotics if required.